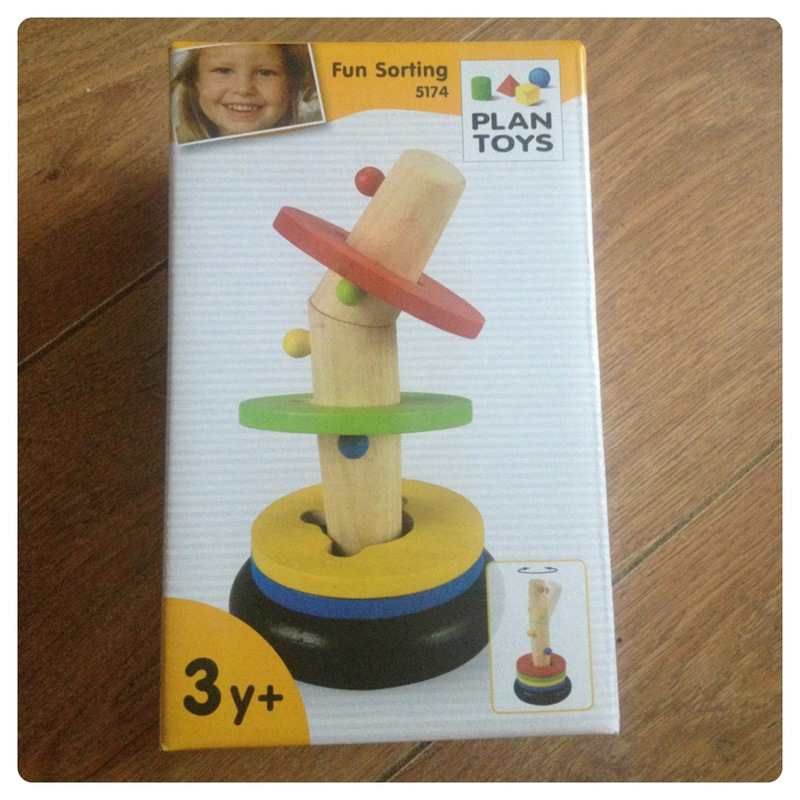 We love wooden toys, not only they are fun to play with, they are durable and don’t need any batteries – perfect! 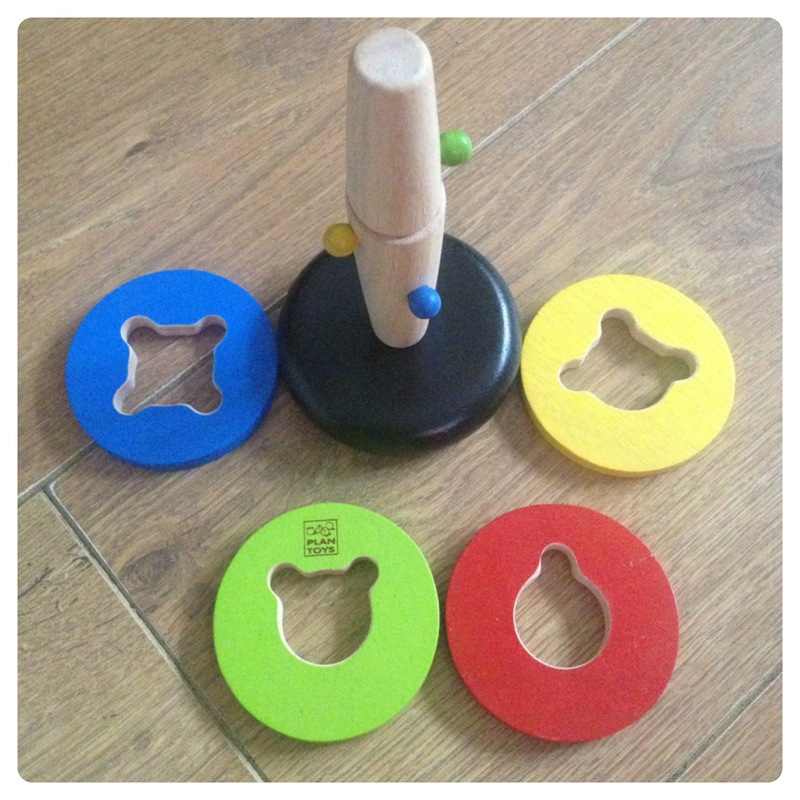 We were sent a lovely wooden toy from PlanToys: Fun Sorting is made from natural wood and it involves sorting and turning four coloured rings to get them down the centre rod. Fun Sorting (RRP £13.99) is a great way of developing colour and shape recognition. 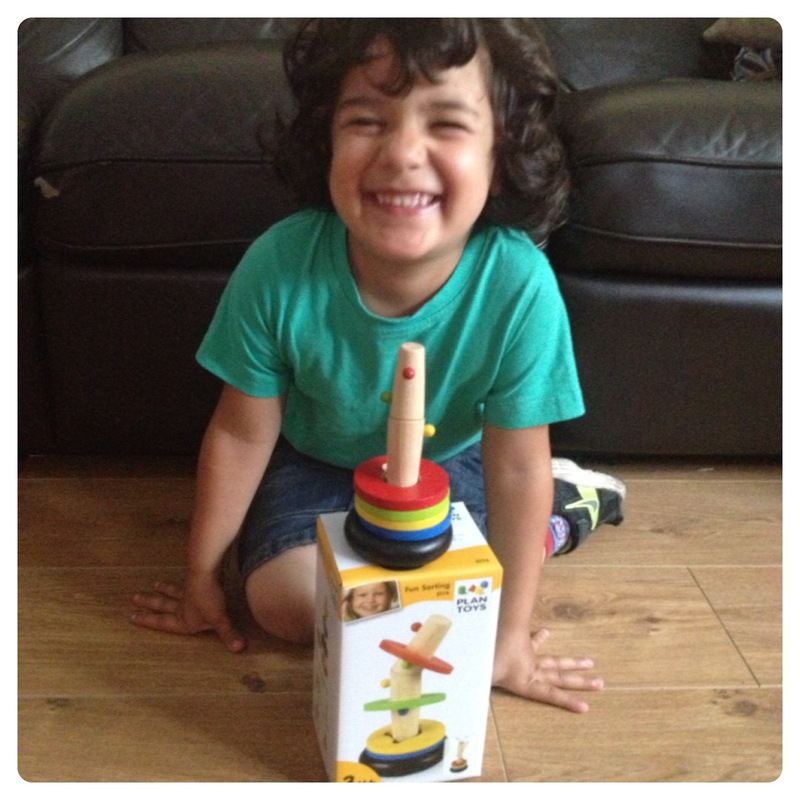 It is a versatile toy, suitable for children aged 3 years and above, it is perfect for older children too as it can be made more challenging by adjusting the centre rod. I quite like that you can adjust the level of challenge, so little man will get a lot of use out of it. When little man just started playing with it, he thought it would be easy to get all four rings down the rod, however it took him a few minutes to realise that he would have to turn them around, otherwise they would get stuck on the nods in the rod. Fun Sorting is a lovely wooden toy from PlanToys, which manufactures wooden toys from preservative-free rubberwood, and it is dedicated to innovation and creativity in toys process and design. Fun Sorting is a simple game, but it helps developing several skills, such as concentration, fine motor, coordination and problem solving. 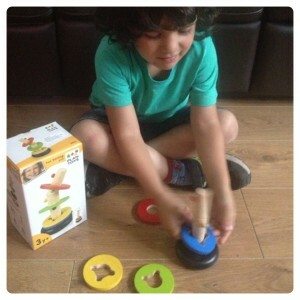 Little man enjoyed playing with Fun Sorting and it delivers exactly what it says, you have fun while sorting colourful and bright rings! Fun Sorting is currently on sale on Amazon for £6.70. One Response to "Wooden Toy: Fun Sorting by PlanToys"